Adj. 205 day 835 lbs. Weigh Date 4-10-19 1370 lbs. What a phenomenal cow that produced this young sire. 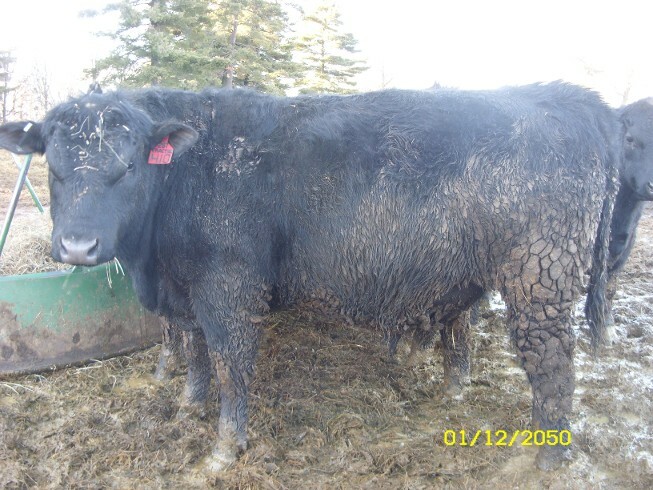 Her average 205 day on 3 calves is 761 lbs. Always one of the very first to calve. As a first calf heifer she raised a heifer that ratioed 114 and weighed 743 lbs. R-410 weaned off 881 lbs @ 228 days. Pathfinder dam. This is the last Traction offspring we'll have - got to move on-, but they've been easy going, stylish, and a real crowd pleaser.